Chancellor George Osborne has been told he must hand the West Midlands billions of pounds if he wants to win support for the creation of a regional mayor. Conservative and Labour MPs from across the region have joined forces to warn the region must have an "ambitious" package, including support for a £3 billion scheme to use the planned HS2 high speed line to create thousands of jobs. And there is concern the Treasury intends to offer the West Midlands region a modest package of funding and powers equivalent to that of Sheffield, which doesn&apos;t reflect its size or importance to the economy. The Treasury is in negotiations with council leaders about a devolution deal for the West Midlands, which could be announced to coincide with the Chancellor&apos;s Autumn Statement on November 25. Ministers have already agreed deals with other parts of the country including Greater Manchester, the North East and Sheffield. And the chances of securing a deal for the new West Midlands Combined Authority increased after Sir Albert Bore, the leader of Birmingham City Council, announced his intention to stand down. Local Government Secretary Greg Clark had previously warned poor leadership in Birmingham was placing the devolution deal at risk. But those involved with the talks said privately they were concerned the Government was not willing to offer the region the funding it needed. Instead, they said the Treasury appeared to be offering a package similar to a deal with Sheffield and neighbouring councils earlier this month, which are to receive £900 million over the next 30 years – even though the West Midlands Combined Authority covers a much larger area with four million residents. And insiders said without an appropriate offer from the Government, council leaders would be unable to convince sceptical colleagues it was worth giving in to Mr Osborne&apos;s demand that they create the post of directly elected regional mayor. A letter signed by 19 MPs from across the region stated: "We believe that the economic return on this investment from government will be significant; much higher than that which could be achieved from many parts of the country. We want to be ambitious." The letter, addressed to Treasury Minister Jim O&apos;Neill, who has been representing the Treasury in negotiations, said the devolution deal should cover the area served by three business-led economic development bodies – the Greater Birmingham Local Enterprise Partnership (LEP), the Black Country LEP and the Coventry and Warwickshire LEP. This was despite the decision of a number of local councils in the area voting against joining the combined authority which will administer the deal. And the letter warned: "The investment package needs to be sufficient to support the delivery of the HS2 Growth Strategy to maximise the benefits of high speed rail, alongside other investment requirements." The HS2 Growth Strategy, published by the Greater Birmingham LEP in July, will cost £3 billion in total. It includes measures to ensure the West Midlands benefits as much as possible from the HS2 high speed rail line, which includes a new station in Birmingham city centre and a second new station near Birmingham Airport. Proposals include expanding the business district near the city centre station at Curzon Street. Other measures in the strategy include improving transport links to the interchange station near the airport, providing training for a new generation of engineers beginning as early as primary school and providing funding for West Midlands businesses to buy equipment and train staff so they can be part of the HS2 supply chain. 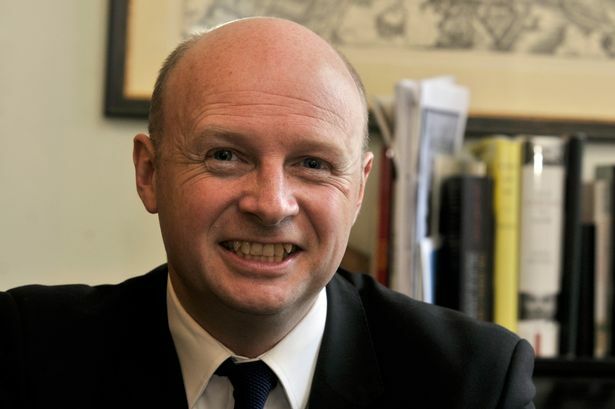 The letter was organised by MP Liam Byrne (Lab Birmingham Hodge Hill). Chancellor George Osborne insisted good progress was being made on a deal as he spoke in the House of Commons this week. He said: "In the West Midlands, we have the real prospect of a further big devolution to the combined authorities with an elected mayor. "We are working with the local authorities, the three excellent local enterprise partnerships and the local MPs. We are close to an agreement but let us try to get it over the line. "That would give the people of the West Midlands the control over local decision making that we have now given to the people of south Yorkshire, Manchester, the North East and Teesside." As well as Mr Byne, the letter was signed by MPs Ian Austin (Lab, Dudley North), Adrian Bailey (Lab, West Bromwich West), Richard Burden (Lab, Birmingham Northfield), Jack Dromey (Lab, Birmingham Erdington), Michael Fabricant (Con, Lichfield), Colleen Fletcher (Lab, Coventry North East), Mark Garnier (Con, Wyre Forest), Margot James (Con, Stourbridge), Julian Knight (Con, Solihull), Karen Lumley (Con, Redditch), Shabana Mahmood (Lab, Birmingham Ladywood), Andrew Mitchell (Con, Sutton Coldfield), James Morris (Con, Halesowen and Rowley), Jess Phillips (Lab, Birmingham Yardley), Emma Reynolds (Lab, Wolverhampton North East), Caroline Spelman (Con, Meriden), Mike Wood (Con, Dudley South) and Gisela Stuart (Lab Birmingham Edgbaston).